Mei was a social person before, but ever since her friends turned against her, she decided never to befriend anyone again. At first, she is described as "freakishly gloomy" and "doesn't speak". She is anti-social, clumsy, observant as well as honest, and funny. Her dad passed away from cancer and her mom is alive. 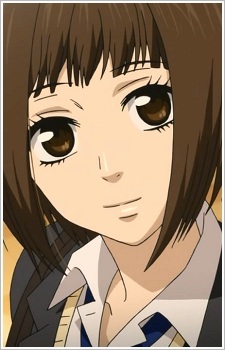 By episode 3, she enters a relationship with Yamato at his demand. She loves Yamato very much but she finds it difficult to express her feelings as she is new to interacting with people. She receives a blue bracelet as well as a pair ring from Yamato as a symbol of their relationship, she treasures it very much as she says that when she wears the bracelet it's as if Yamato is right by her side and she feels secure.